Looking for just the right Easter surprise? This slotted 3D ornament will have everyone’s attention this year. This unique design has 5 optional inserts to place within the egg ornament. The sturdy design will stay together without any glue and can be taken apart for storage and reassembled with ease. 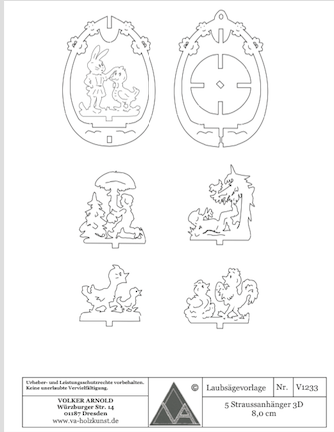 Volker’s slotted ornament patent will change the way that you scroll your slotted projects from here on out.